Today’s global economic downturn, the most serious since the 1930s, is causing incalculable suffering for tens of millions and shows little sign of abating. If anything, it is becoming more extensive, as a recession continues to throttle the U.S. economy, the crisis in the Eurozone intensifies, and growth rates in such countries as China, India and Brazil begin to decline. Unemployment in the U.S. and most of Europe remains stuck at near-depression levels, despite the expenditure of trillions of dollars in bank bailouts and economic stimulus programs. Most governments in the Western world now have little to offer except demands that those people most in need tighten their belts through austerity measures not just for years but for decades to come. In response to these conditions, some of the most promising social movements in decades have arisen, from the protests of the indignados in Spain to the strikes by workers and students in Greece to the Occupy Wall Street Movement in the U.S. These popular movements have made an enormous contribution in highlighting the pervasive inequality and alienation that characterizes modern capitalism. Many in these struggles are searching for ideas and perspectives that can make sense of these realities and help take their struggle to the next level. The battle of ideas inside these movements is in some respects first beginning. Two explanations are being offered today for the ongoing economic crisis. One is that the crisis is structural. The other is that it is not structural but is an unnecessary and arbitrary result of political ineptitude and corporate greed. This is no academic debate. If the crisis is not structurally rooted in the nature of capital but is instead a result of misplaced policies and the subjective whims of some individuals, then capitalism can hardly be blamed for it. And if that is so, there’s no objective reason to posit an alternative to capitalism. If the crisis is structurally rooted in the nature of capital, the situation is of course quite different. A very different explanation is being offered from some conservative thinkers on the Right, who argue that the crisis is structural. However, what they mean by this is the high level of public debt. As Yuval Levin wrote in a recent essay in The Weekly Standard: “We have a sense that the economic order we knew in the second half of the 20th century may not be coming back at all—that we have entered a new era for which we have not been well prepared…. We are, rather, on the cusp of the fiscal and institutional collapse of our welfare state, which threatens not only the future of government finances but also the future of American capitalism.” This narrative is largely driving the positions of both Romney Republicans and Obama Democrats—the only real argument between them concerning the extent of the austerity needed to reduce the deficits. Against both of these positions, I wish to argue that today’s crisis is not a product of mere political ineptitude and individual greed but is rooted in the crisis of capital. Political corruption and corporate greed are not the cause but the consequence of that crisis. Nor is the structural crisis of capital a mere matter of debt levels; it is instead a crisis of profitability and renewed capital accumulation. Where is the evidence for this? First, if it is the case, as Krugman asserts, that all that is needed to overcome the crisis is to boost government spending, it follows that capitalism itself need not be called into question. It is true that the economic stimulus package that U.S. President Obama installed shortly after he took office in 2009 was too small to put a dent in rising unemployment. But taken as a whole, an astronomical amount was pumped into the economy in the years immediately following the 2008 financial crisis—trillions of dollars by the U.S. Federal Reserve and over $1 trillion by the European Union. It saved global capitalism from going over the cliff, but it proved insufficient to reverse the crisis itself. Why is this? The reason, I would argue, is that Keynesian stimulus measures no longer suffice to resolve the deeper, structural crisis underlying the 2008 near-collapse—the decline in profit rates that have plagued global capital for decades. As Marx showed in Capital, capitalist accumulation primarily occurs through productive consumption—by capital becoming “big with value” as it consumes an ever greater-share of the social wealth. The only source of value and profit is living labor. However, as the share of living labor relative to capital declines due to increases in productivity and technological innovation, the tendency of the rate of profit is to decline. That tendency has become acute since the mid-1970s. In other words, what many have dubbed the “post-industrial economy”—the replacement of living labor at the point of production by ever-newer forms of labor saving devices—is precisely what is responsible for the structural crisis of capital that Marx predicted in his work over a century ago. When profit rates remain endemically low, how does capital respond? By trying to redistribute value from labor to capital, in order to obtain the source of monetary wealth needed to feed the voracious appetite of the productive system. This redistribution of value should not be confused with the sphere of distribution per se, which, according to Marx, is of ancillary and secondary importance when compared with the sphere of production. It rather refers to the distribution of the elements of production (labor power, means of production, and profit) that is intrinsic to the logic of capital accumulation. The enormous growth in income inequality, which the Occupy Wall Street Movement and the European protests against austerity have done such a fine job exposing, is simply the expression of this underlying tendency to redistribute value from labor to capital. We can see this by taking a closer look at the European debt crisis. Why is Greece in such a morass? It isn’t because Greece had an unusually large welfare state; spending on social welfare as a percentage of GDP is actually much higher in Germany than in Greece. Nor is it (as some have claimed) that Greek workers don’t work hard enough; Germans actually work far fewer hours on average than Greeks. Rather, what is at issue is that in the years leading up to 2009 Greek wages rose much faster than wages in Germany and other northern European countries. German unit labor costs rose 7% since the euro was adopted in 1999, while Greek wages rose 42%; Italy’s rose 30% and Spain’s by 35%. Germany’s labor costs relative to that of other countries using the euro fell by 15% since 1999, and 25% compared to the poorer ones. Germany’s labor costs declined relative to other nations because it imposed a widespread economic restructuring and austerity program over a decade ago. 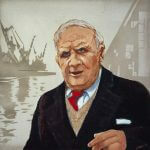 As the establishment commentator Joseph Joffe correctly notes, “restructuring drove profitability [in Germany], not the exchange rate.” This took the form of forcing millions of Germans into temporary work contracts that often pay a fraction of what the average German worker traditionally earns. And it wasn’t Angela Merkel and the Conservatives that first imposed this form of wage austerity, but rather the Social Democrat Gerhard Schroeder. This drive for austerity, which proved so “successful” in Germany, was actually much of the impetus for greater European integration. The Maastricht Treaty of 1992, which preceded the euro, proposed a debt limit of 3% on each nation to encourage lower wages and less social spending. It was an effort to “Germanize” Europe via “fiscal discipline.” The adoption of the euro was aimed to further this. And that is why no stipulation was made enabling a country to leave the euro; they weren’t going to make it easy to get out if austerity became unpopular! Marxists have long understood, as Rosa Luxemburg once wrote, that “it is an inherent law of the capitalist method of production that it strives to materially bind together the most distant places, little by little, to make them economically dependent on each other, and eventually transform the entire world into one firmly joined productive mechanism.” However, it is important to understand the reason for this insofar as the drive for European monetary union is concerned. Contrary to the naïve view expressed by some thinkers on the Left, such as Jürgen Habermas, it was never mainly about an effort to create a more “cosmopolitan” and “democratic” Europe. It was largely in order to impose continental-wide austerity as a condition for further capital accumulation. Yet there was a major defect in this project—monetary union was not accompanied by fiscal or political union. Europe is not a unified entity; it lacks an economic and political center. Italy and Spain allowed wage rates to rise faster than expected, and the European Union (EU) lacked a mechanism to prevent it. In any case, German Chancellor Merkel now says she’s unwilling to commit a massive infusion of German capital to the European Central Bank (ECB) to bail out of Spain and Italy unless the EU agrees to a more centralized structure that could impose austerity on a continental level. Yet this is risky: if Germany refuses to provide the cash, Spain and Italy may go under and the Eurozone might unravel—with dire consequences for Germany itself. Yet it is unclear that there is any institution in Europe, the ECB included, that can come up with the massive amounts needed for a sustained bailout, even if Germany relents. As Martin Wolf notes, “If those with good credit refuse to support those under pressure, when the latter cannot save themselves, the system will surely perish.” What then? No one knows. It is rather disingenuous, if not outright dishonest, for Merkel to say that it is “unfair” to ask Germany to bail out the poorer countries of Europe just because the latter didn’t keep their house in order. Everyone knows that the richer countries of the EU have always dispensed massive amounts of money to the poorer ones (anyone who has been to Barcelona and sees the advanced state of its infrastructure, largely funded by German tax dollars, knows what I’m talking about). That, however, is precisely the point: the EU has no problem dispensing funds when it is for capital investments. It is a very different matter when it is in order to provide funds to pay for social welfare and rising relative wages! Nevertheless, this does not necessarily mean that a solution for the situation lies in countries like Greece simply leaving the Eurozone—though it is more than likely that Greece will have little option, within the next year, other than to leave it. If Greece drops the euro its economy can gain some respite by devaluing its currency, which would make its exports cheaper. The problem, however, is that Greece (unlike Argentina, for example, which devalued its currency after the 2001 financial collapse) doesn’t have all that much to export. To make its exports competitive, wages will have to come down. As one analyst notes, “To some extent, devaluation is the whole point. It would help Greek wages fall in relation to the rest of the world so that the country would become competitive in export markets. A weaker currency would achieve the wage cuts, estimated at 40%, overnight instead of over years as is likely if Greece stays in the euro.” Greece is stuck either way: if it keeps the euro it will be forced into more austerity, and if it doesn’t the result is largely the same. This does not mean that the Greek masses, let alone those elsewhere, face a situation in which resistance to today’s drive for austerity is essentially futile. First, the legacy of sustained, combative resistance even in a relatively small country or locale can have a tremendous impact in stimulating social mobilization on a broad scale, thereby leading to a direct assault on global capital. Second, at specific moments it is possible for masses of people to impose checks on the rapacious demands of capital, at least in the short term. Social unrest and mobilization can force the powers that be to temporarily retreat as the populace insists that more social wealth be devoted to labor and individual consumption—even if that is at odds with capital’s law of motion. The logic of capital is never completely homologous with its historical manifestations at particular moments. Nonetheless, it is clear that the trajectory of global capitalism is that it has responded to the financial meltdown of 2008 by engaging in an increasingly desperate attempt to redistribute value from labor to capital by gutting government services and social spending, forcing down living standards, and imposing economic austerity on a number of levels. This is no mere ephemeral measure. Nor is it an approach being advanced by only one wing or section of the political establishment. It is the approach that has been adopted by all of the major political parties and personalities associated with the system. Marx’s point is that although capital’s tendency is to reduce its reliance upon living labor, it faces “characteristic barriers” that prevent this tendency from becoming fully realized. One of them is the threat of social revolution by unemployed workers who are cast aside as capitalism becomes increasingly productive. Capitalism does not meekly surrender to this subjective threat; nor does it put an end to capitalism’s tendency to replace value-creating labor by new machinery at the point of production. Instead, at various historical junctures capitalism responds to the risk that its actions will “produce a revolution” by increasing the employment of non-productive workers even as it reduces, absolutely as well as relatively, the number of value-creating workers at the point of production. This explains the significant growth of a service-economy and a public sector in modern capitalism. However, since capitalism is continuously driven to reduce the proportion of living labor to dead labor (or capital), over time even the relative over-employment of non-productive workers comes under attack by capital. This is the situation that we face today, as seen in the concerted effort by numerous factions of global capitalism to reduce the number as well as the wages and benefits of public-service workers especially through austerity-measures. Will this prove counter-productive from capital’s point of view, by “producing a revolution” on the part of those increasingly cast aside by the system? The answer to that question depends on whether a viable alternative to capitalism arises. What has held back the effort to forge a sustained and successful opposition to capitalism is the narrow conception of a new society upheld by many of its opponents. Instead of theorizing how to abolish capital through a new kind of labor and human relations that dispenses with value production, far too many have advocated one or another form of controlling or taming capital. The problem with this approach, however, is that by its very nature capital cannot be controlled, even by the most enlightened intellectual elite. Once capital emerges as the predominant form of social mediation, it takes on a life of its own and shapes the behavior of social agents according to its will—regardless of any efforts to control it. On these grounds, in Capital, Marx referred to capital as the subject of modern society. Given the failure of post-Marx Marxists to theorize a viable alternative to capitalism, where do we begin the effort to do so today? Just as Marx provides us with the understanding of the nature of the present crisis of capital, so I would argue, does his work provide with a concept of what it needed to transcend capital. As I show in my new book, Marx’s Concept of the Alternative to Capitalism, Marx did not simply criticize existing society; on the contrary, his critique of capitalism flowed from a distinctive and specific understanding of what is needed to replace it. We need to return to Marx’s conception of the transcendence of value production to meet our needs today. I wish to emphasize, however, that our point of departure cannot only be what Marx wrote in 1843 or 1883. 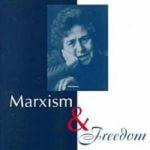 It must center on what Raya Dunayevskaya’s 40-year process of developing Marxist-Humanism disclosed about Marx’s work. 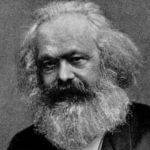 Through her studies of Marx, post-Marx Marxists, and the Hegelian dialectic of negativity, she discovered that Marx’s Marxism was not a mere theory of class struggle but rather a philosophy of “revolution in permanence.” That is, for Marx, the process of revolutionary transformation was never a singular act. The negation of private property, the market, and the bourgeoisie, necessary as they all are, were for Marx but a step in the process of permanent revolution. As Marx put it in 1844, “crude communism,” which abolishes private property in the means of production, is but a first negation. To achieve true freedom from capitalism, which he terms “positive humanism, beginning from itself,” much more is needed—the negation of the negation. This conception of self-movement through second negativity, Dunayevskaya showed, permeated Marx’s entire body of work. By re-examining Hegel’s concept of absolute negativity, she helped to disclose the breadth and depth of Marx’s critique of existing society as well as his understanding of what is needed to surmount it. Working work an alternative to capitalism is a hard task. It is not something that can be done by one individual or even by one organization. It takes a collective effort of thought, struggle, experience, and discussion. The International Marxist-Humanist Organization sees its role as a catalyst in this needed task that we hope everyone here can join us in further developing, as part of our response to today’s endemic crises. The movements against the ongoing austerity measures, especially in the U.S. and Europe, are a promising sign that a new generation is emerging that is searching for alternatives to capitalism. The success of such efforts will largely determine the course of events in the following decades. Paul Krugman “Plutocracy, Paralysis, Perplexity,” The New York Times, May 4, 2012, p. A23. Paul Krugman, “How to End This Depression,” The New York Review of Books, May 24, 2012. Joseph Joffe, “I Come to Praise Ms. Merkel Not to Bury Her,” Financial Times, June 20, 2012, p. 11. 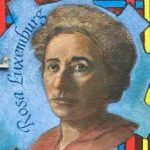 Rosa Luxemburg, Die industrielle Entwicklung Polens, in Gesammelte Werke, Band 1/1 (Berlin: Dietz Verlag, 2007), p. 209. Luxemburg, Die industrielle Entwicklung Polens, p. 190. Martin Wolf, “Panic Has Become All Too Rational,” Financial Times, June 6, 2012, p. 9. Jack Ewing, “Facing a Teetering Greece, Europe Plans for the Worst,” The New York Times, May 25, 2012, p. A12. Karl Marx, Capital, Volume Three, translated by David Fernbach (New York: Vintage Books, 1981), p. 372. Raya Dunayevskaya, “Presentation on Form and Plan,” in The Raya Dunayevskaya Collection, No. 9253. See Leon Trotsky, The Revolution Betrayed (New York: Pioneer Publishers, 1945), p. 54. This article by Peter Hudis is a much needed Marxian/Hegelian dialectical analysis of our current economic crisis and its timing for me personally could not have been better. 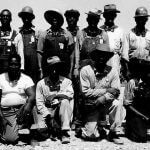 I have been trying to make sense of the economy and its effect on labor in the United States (US) for an article I am writing on labor. Peter Hudis’s article puts everything I have been grappling with in perspective. In the unlikely event that we could reverse, as Paul Krugman suggests,”the austerity policies of the past couple of years and temporarily boost spending”, that would just ease the bleeding, so to speak, temporarily of labor in the US. 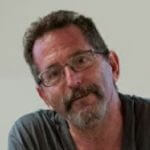 As members of the International Marx-Humanists Organization we have to be concerned with labor “globally”. The conditions for most of labor globally is unconscionable. To paraphrase Marx on the topic of racism, labor can not emancipate itself when the vast majority of labor is disfigured globally. There are many other points to be explored in this article beginning with the fact that most progressive commentators blame Reagan for the beginning of the assault on labor rather than what was behind Reagan’s assault, “the decline in the rate of profit”. Another point I appreciated was Hudis’s explanation of why Greece’s default won’t succeed the way Argentina’s had, thus dispelling another myth enjoyed by Progressives.